Active Red, with its all-new Active Studio, is the latest concept in total wellness, offering you a complete solution for all your health and fitness needs. Our philosophy is simple: A fresh, new approach to your current exercise routine. We offer a wide range of programmes in our group exercise classes — from internationally-accredited Active Kickboxing courses to specialised Boot Camp, Pilates and Suspension Training Gym courses. If you prefer one-to-one attention, our Personalised Exercise Programming will definitely meet your needs. Whether in a group or personalised exercise training sessions, we offer programmes to cater to everyone, from juniors and teenagers to adults and seniors. Our coaches are certified by internationally-recognised organisations including the National Strength and Conditioning Association (NSCA) and the International Society for the Advancement of Kinanthropometry (ISAK), and accredited by the World Association of Kickboxing Organisations (WAKO). We are also the appointed national representative for the World Association of Kickboxing Organisations (WAKO) - the sole governing body for Kickboxing sport in the world, in Singapore. 1. Non-combative Kickboxing Fitness workouts as a safe, effective weight loss and fitness programme for almost anyone — and one that will help you achieve your fitness goals in the shortest time possible. a.	Tatami Sports as a new sport in schools - competitions which are similar in nature to the ones organised in Taekwondo and Karate. b. Ring Sports for those who seek physical challenges and push their fitness limits – in the likes of boxing or Muay Thai competitions. 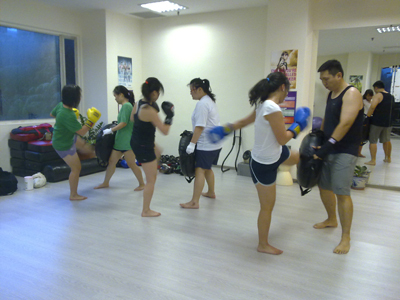 We also run internationally-accredited WAKO Kickboxing Fitness Trainer courses in Singapore. We believe in a well-rounded approach to health and wellness. Our Exercise Physiologists and Nutritional Coach are on hand to help you with your ergonomic and nutrition needs, to help you on your path to achieving your fitness and health goals. • Empower our clients to achieve a healthier, happier, and more productive life by adopting healthy lifestyle changes. • Creating value by offering a holistic approach to Total Wellness through the innovation of safe and effective training systems. • Leverage on a successful business to help others less fortunate. The well-being of people are our greatest concern. 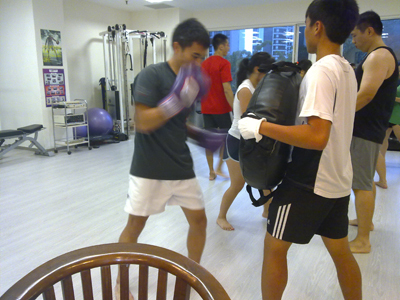 We aim to facilitate your lifestyle change by giving you a memorable fitness experience with us. We go beyond creating effective programs specially customized for our clients. We are also your confidants, role models, educators and motivators. We are committed to high standards of professionalism, reliability, responsibility.